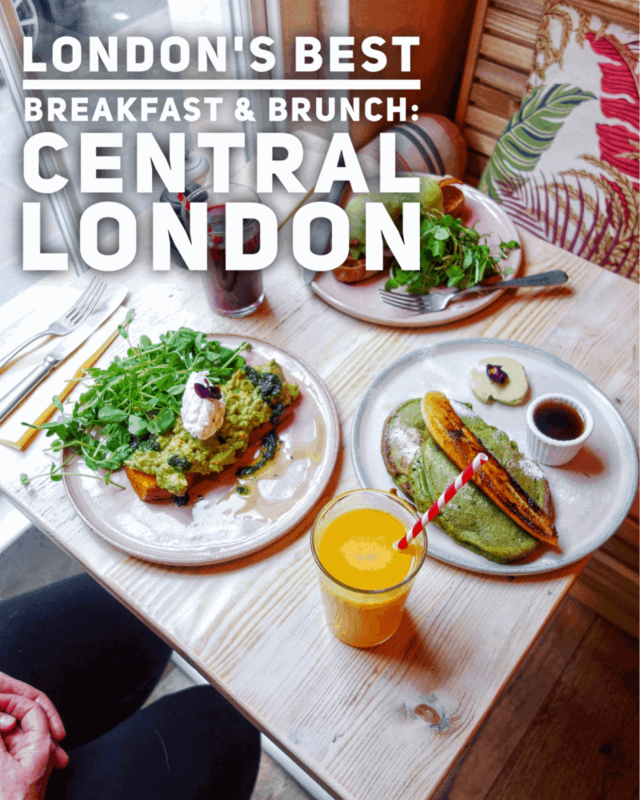 The breakfast and brunch scene in London has tripled in size to when I first moved to London in 2011 and it continues to grow with a new place popping up nearly every week (it feels like that, anyway!) 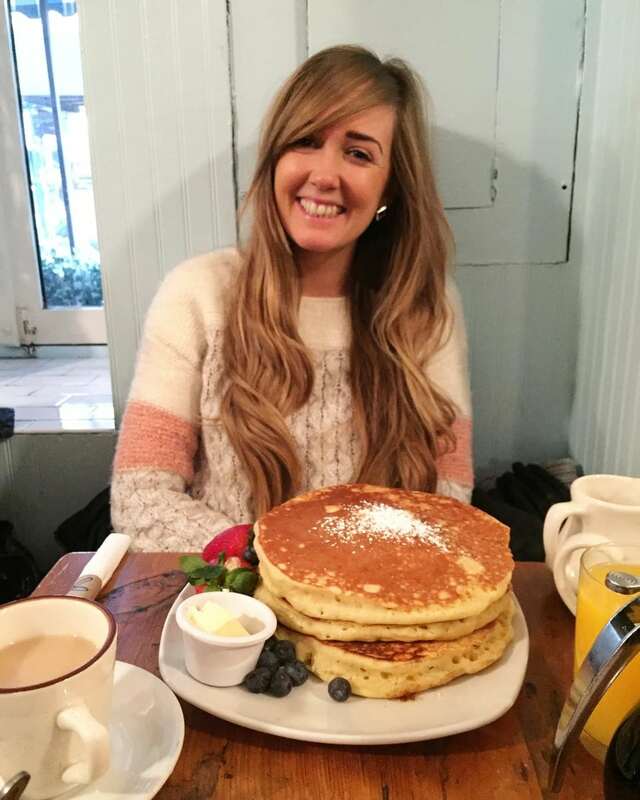 My first experience of a ‘real’ London brunch was when a friend and I ventured to Tom’s Kitchen in Chelsea where I took my first food photo and I’ve been hooked every since. 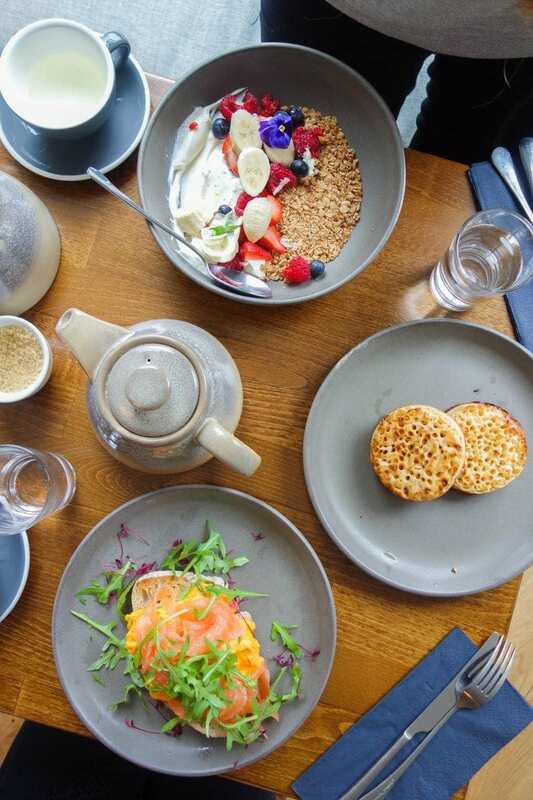 Breakfast has become my absolute fayourite meal to eat out and the choice, quality and creativity in London has made that experience so much easier and enjoyable. 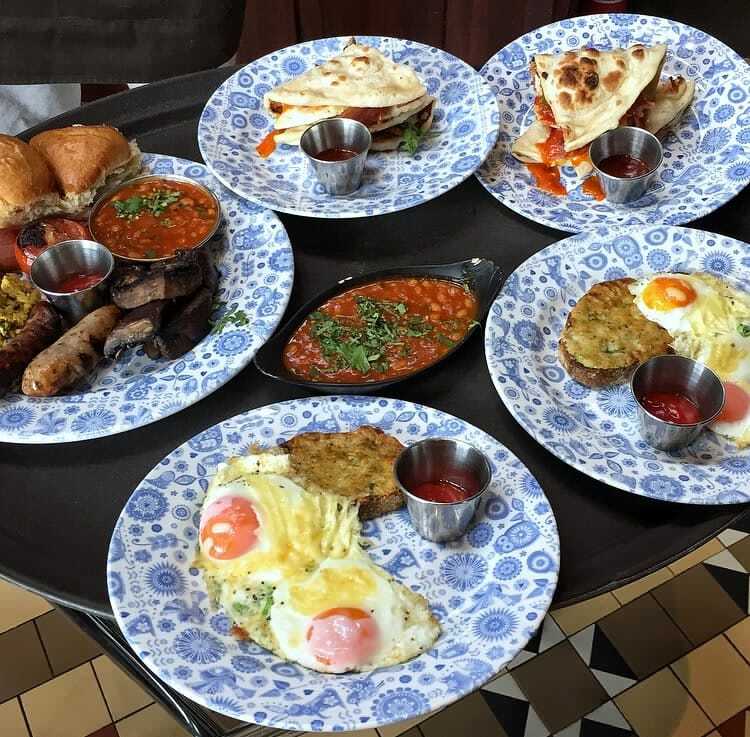 I’ve put together (or am putting together depending on when you’re reading this) a series of some of the best breakfast and brunch spots in each area that I’ve eaten at, loved and would recommend to you hungry lot out there. 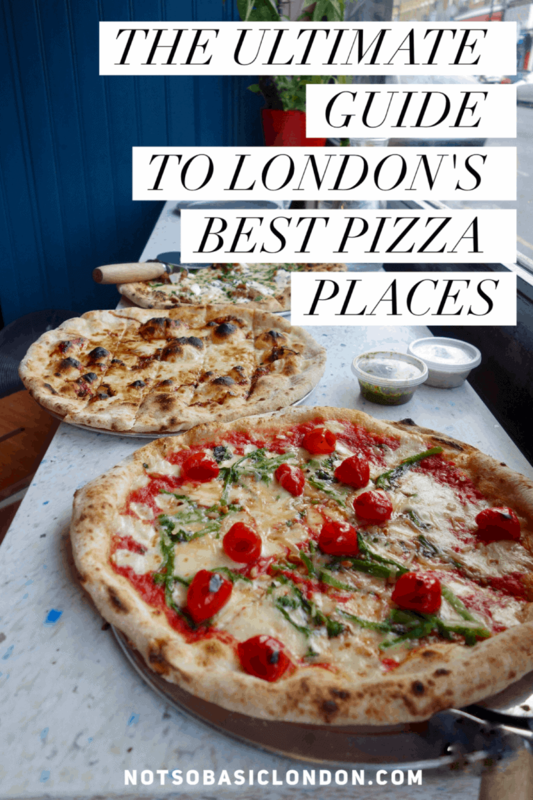 To make it easier I’ve also narrowed it down to area depending on where you live or are staying in the city but to be honest if you’re like me you’ll travel anywhere for good food. We’re heading to North London around leafy Islington, cool Camden and undiscovered Stoke Newington. 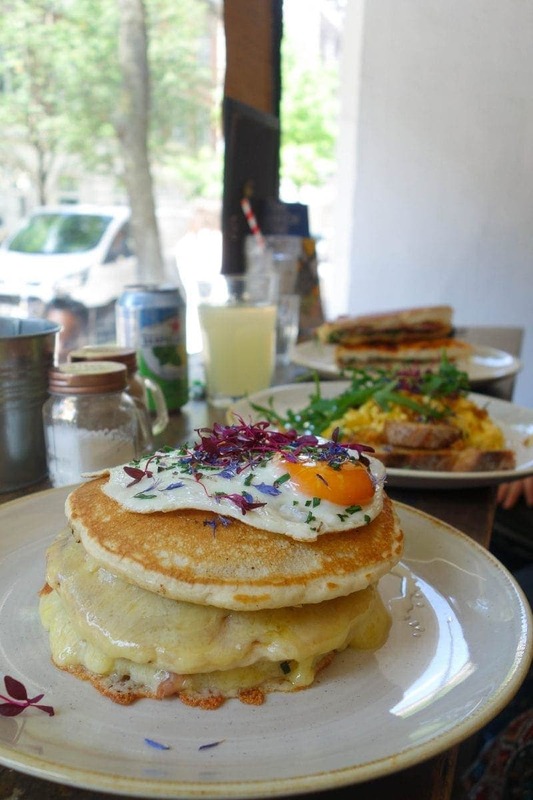 Here are, in no particular order, London’s Best Breakfasts & Brunch: North London. 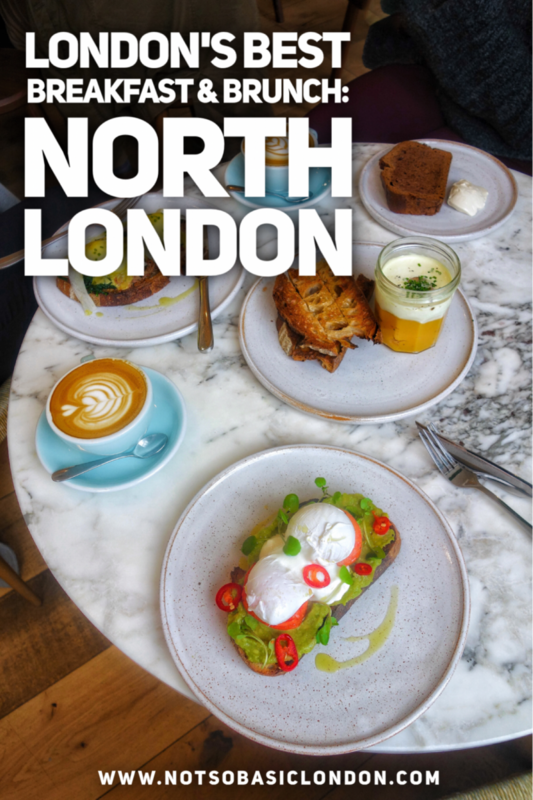 An independent neighbourhood coffee shop offering a seasonal all-day brunch menu with an emphasis on local, fresh produce and great coffee. The open space feels like someone’s modern living room and the center island filled with cakes is a great feature. A nice spot to do some laptop work and also family friendly. 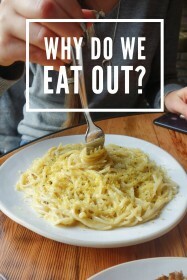 Why go? Good portions and family friendly. 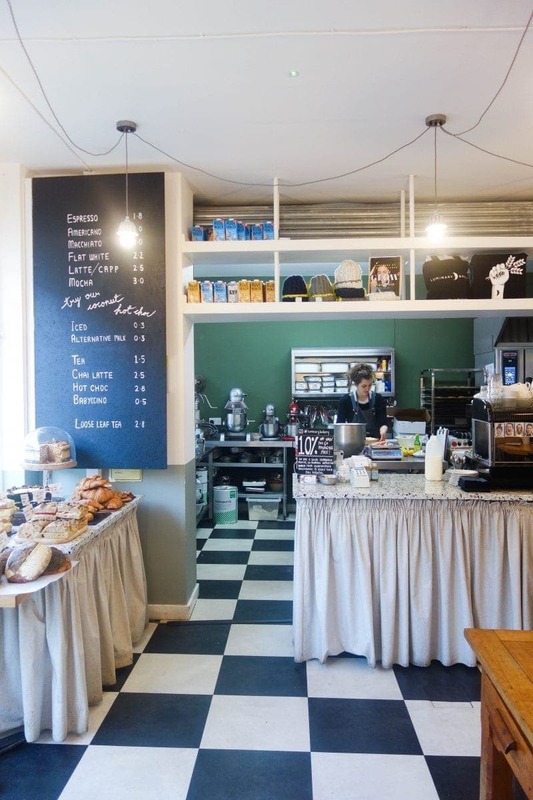 Half Cup is a trendy farmhouse style coffee shop with a shabby chic design, washed wooden tables and funky lighting. They take presentation as well as taste very seriously here so bring your camera to snap a picture of their delicious sweetcorn pancakes or the miso french toast. A short walk from busy kings cross and worth waiting in the queue. Why go? For style and substance! 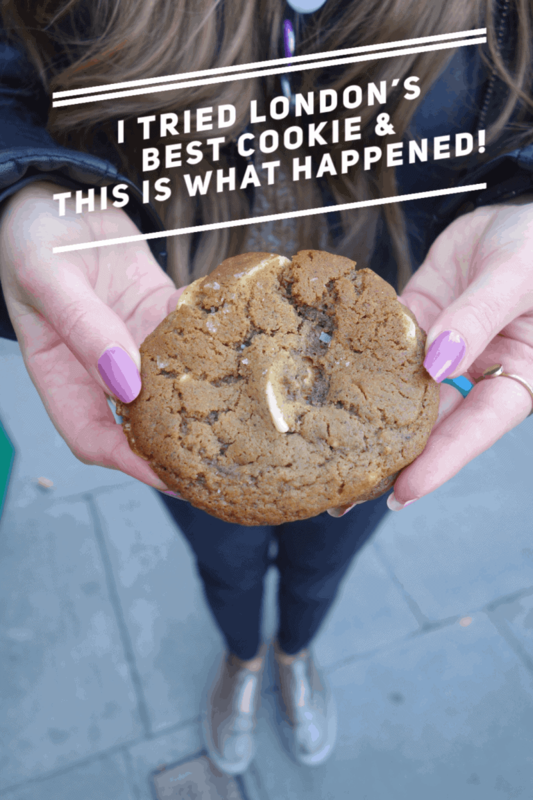 Luminary are not just a gorgeous bakery but also a social enterprise helping and training socially and economically disadvantaged women through the medium of baking. Pick a pastry made by one of the ladies in their open kitchen. Find them on a quiet residential street in Stoke Newington. An adorable spot with a ‘country chic’ vibe and deliberately ‘distressed’ tables makes for a lovely little nook to have breakfast at. Food is your usual dishes you’d expect from such a place and all presented with rustic charm. Pop in for a friendly, artisanal coffee. Why go? If shabby chic cafe’s are your thing. 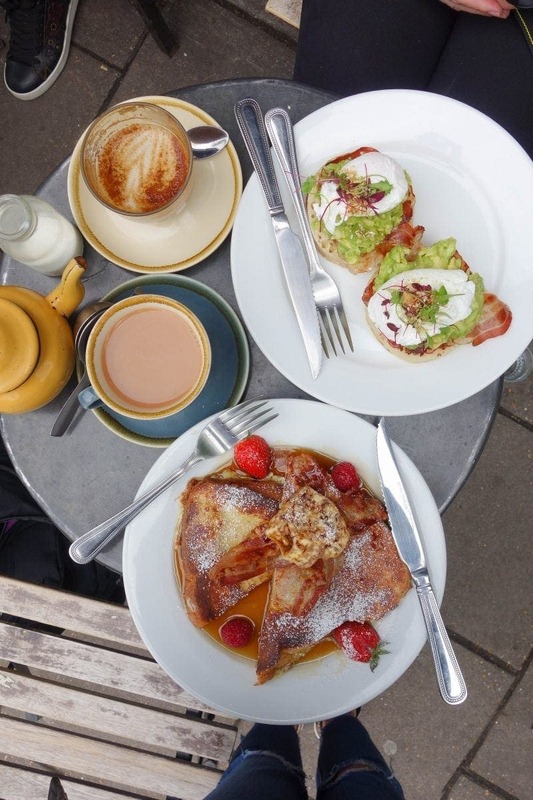 A seriously popular brunch spot doing epic French toast and pancakes in the unexplored and residential area of Barnsbury. Inside is small but the vibe is bustling. Expect a crowd checking out what the hype is about plus locals from the area. Expect a long queue or maybe try and visit on a weekday. Why go? To see what the hype is about and the French toast. Opened by Elliot Milne in summer 2018, this clean, sleek, minimalist Australian brunch spot is so much more than breakfast. 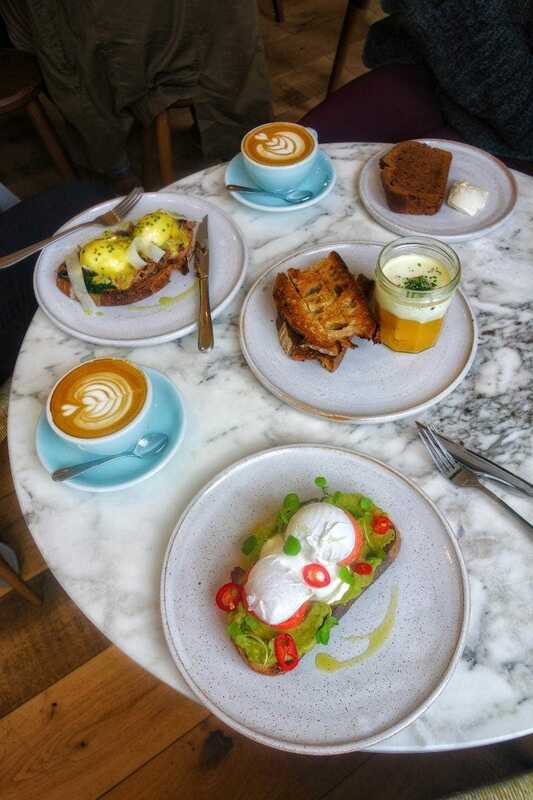 Elliot spent a year working with Technoserve and The Gates Foundation in Ethiopia to help coffee farmers improve their quality and achieve higher prices and now he has brought that specialty coffee to us in London as well a delicious brunch. A real destination to find and not somewhere you’d just stumble across. The coddled eggs are a great choice. Ticks all the brunch boxes. 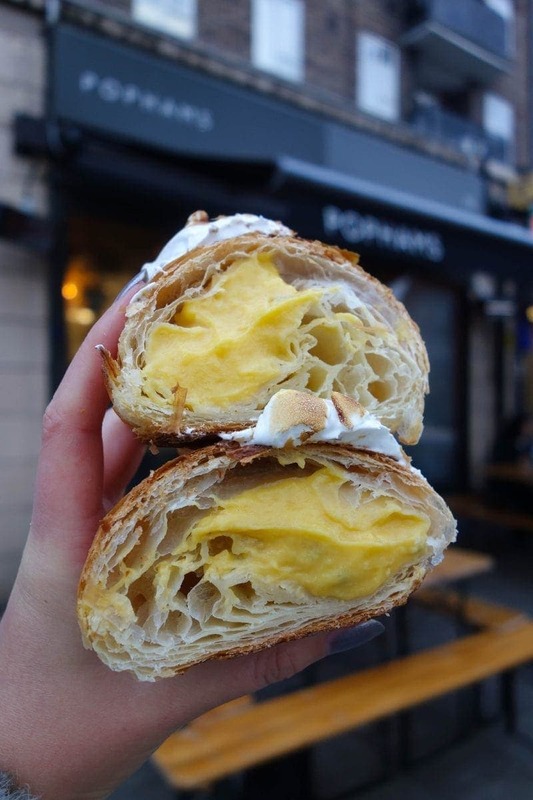 Pophams took London by storm when they opened in 2017 with pastries like you’ve never experienced before. Expect seasonal, creative pieces like their Peanut butter jelly, the mango meringue and the phenomenal maple bacon swirl. A petite bakery with just a handful of seating but large outside tables allow for a sharing communal space. Find it on a residential street of a family orientated area but note people travel far to come here. Why go? For the most creative and tasty pastries you’ll ever try. Created by three school friends, Brother Marcus opened up it’s second site in North London since it’s Balham branch made such a name for its self in the community. 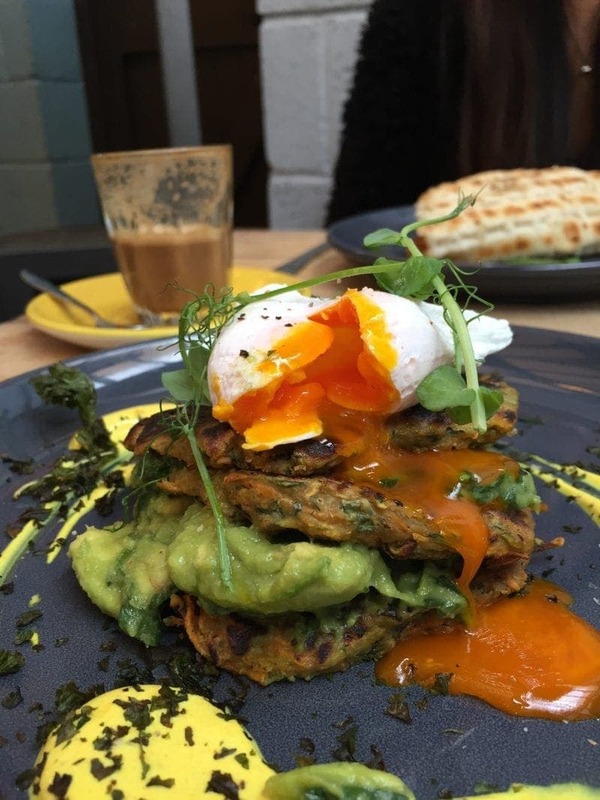 Brunch is not your bog standard dishes but find things like ‘Bob’s your Uncle pork belly’, ‘Brother special beetroot salmon’ and the all-time favourite ‘Step sister sweet potato fritters’. Inside is rustic and the crowd is youngish, a bit trendy and a bit adventurous. Kim, the owner of Maison D’etre, gave up her career in advertising and started selling homemade goodies at a local market and in 2011 opened up her own little spot. Their menu of avocado crumpets and honeycomb buttered french toasts continue to bring in the crowds. A spot to catch up with coffee and friends. Plus if the weathers nice grab a seat outside. Why go? To experience independent business at its best. 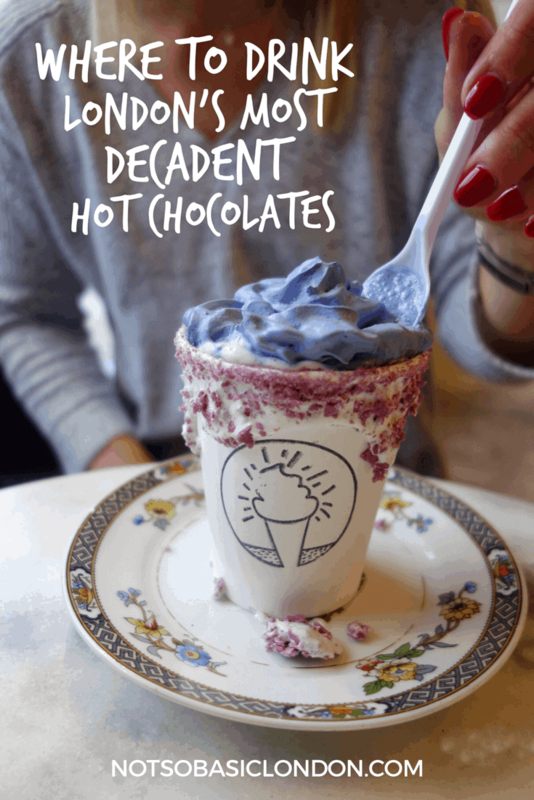 Two friends, Jaz and Juls and combined their love for chocolate and opened up a cafe in north London selling their own brand hot chocolate. 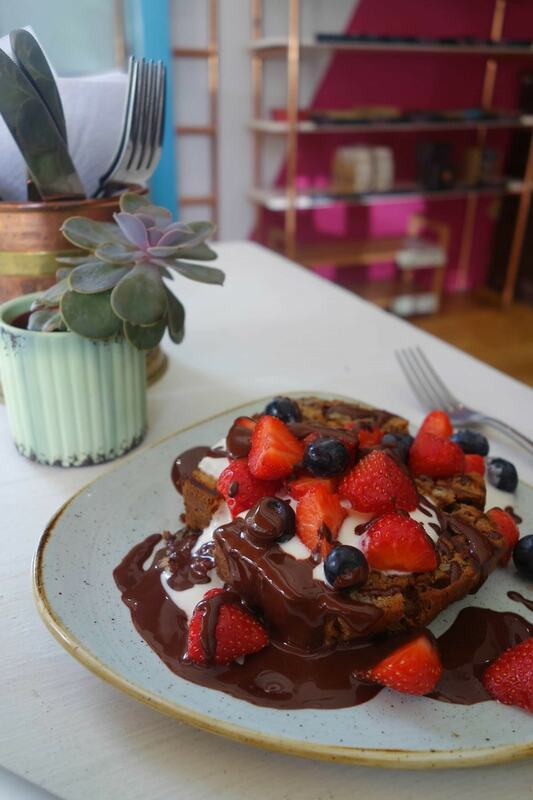 The menu also includes a small selection of brunch much of it drizzled in chocolate. A cozy, living room vibe. 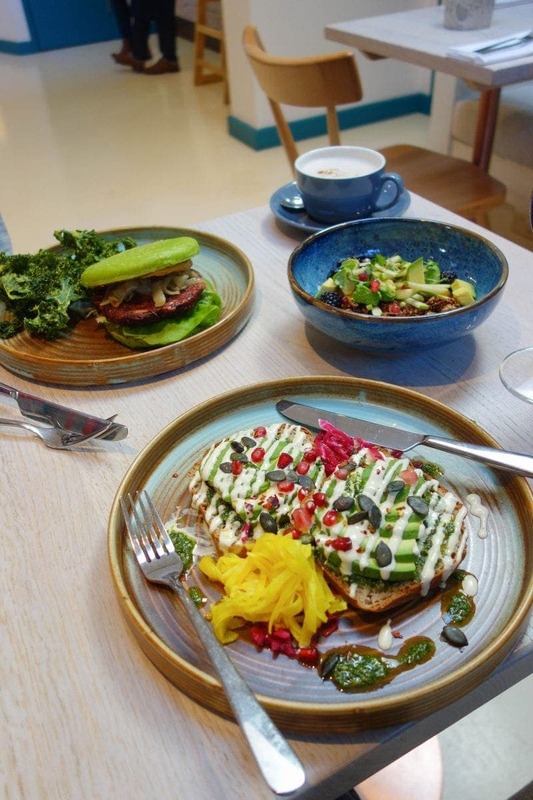 Wild food Cafe’s ethos is colourful, creative, ‘raw-centric’ vegan food Their take on brunch is quite unique with dishes such as green burgers, quinoa pancakes and cooked granola. The bright space with pastel colour and marble interior is just as aesthetically pleasing as the food. Counter seating available or enough space to comfortably seat large crowds and not feel on top of each other. 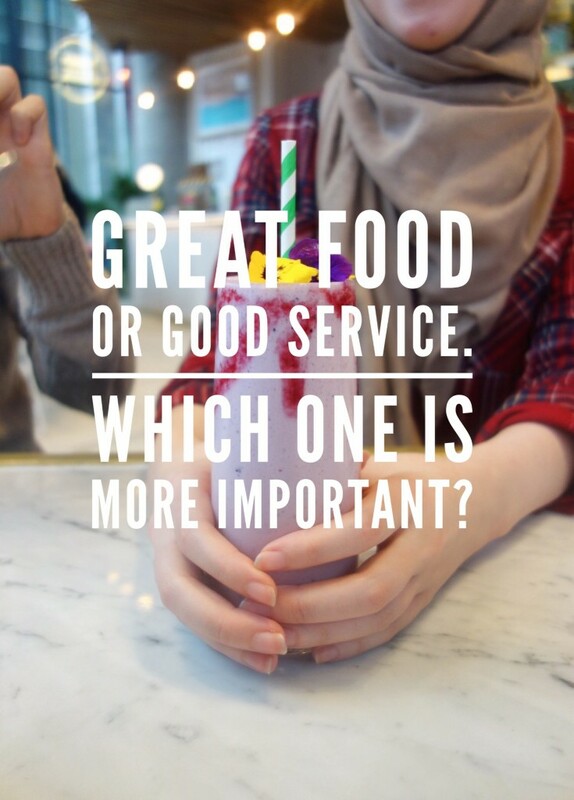 Bob’s is a real crowd pleaser and prides itself on being family friendly, kid friendly and dog friendly. 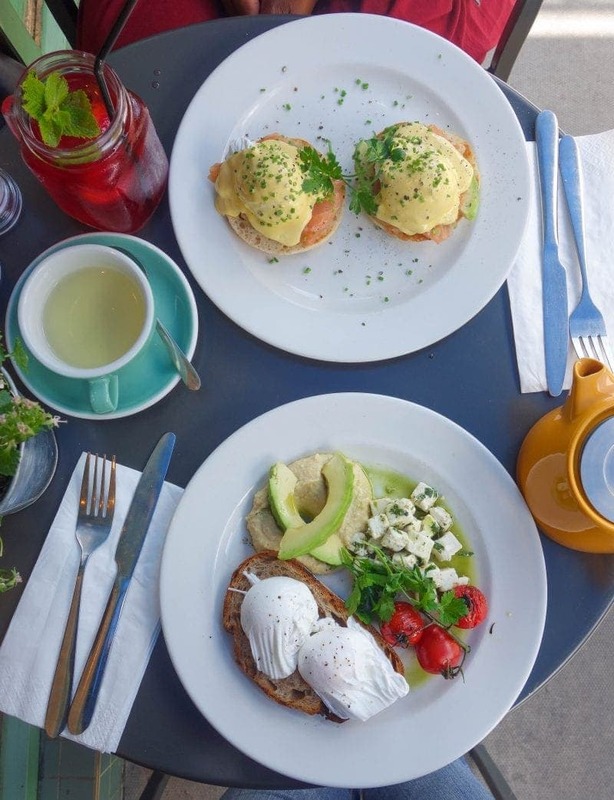 This all day bistro serves up all the favourites like your full english breakfasts, eggs benedicts and the sunshine brunch of hummus, kale and feta is a real winner. Somewhere to go to when you want somewhere easy but tasty. 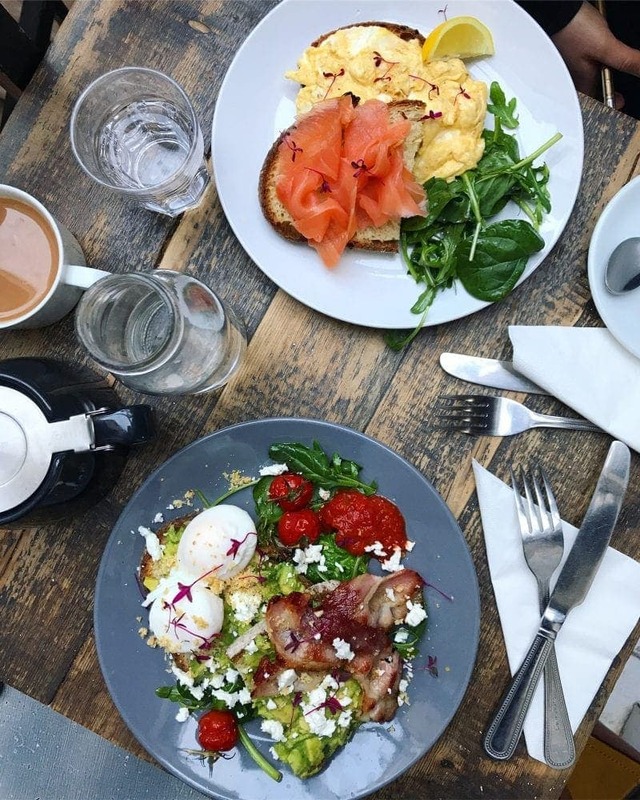 Don’t forget to check out 19 great breakfast spots in Central London before you go! Click here or on the image below. Previous Post How To Efficiently Plan Your Entire Trip in Just 4 Easy Steps!